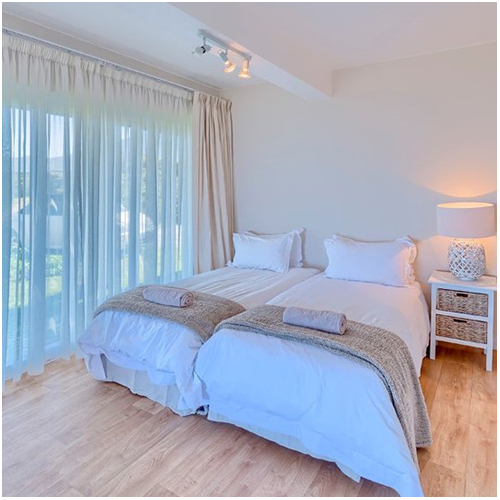 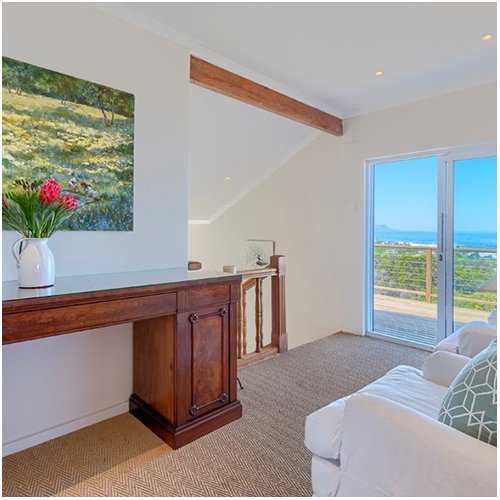 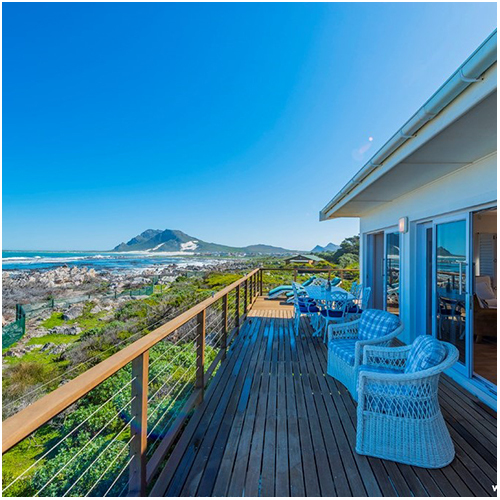 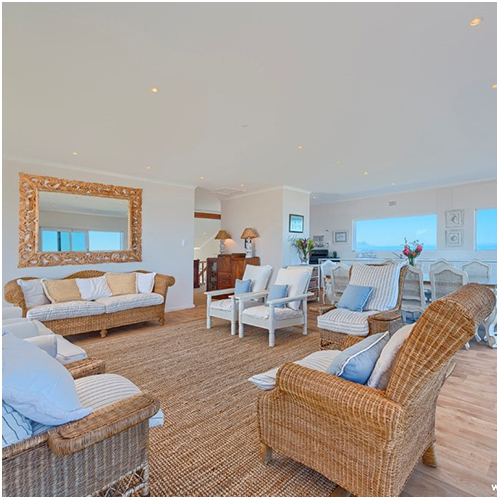 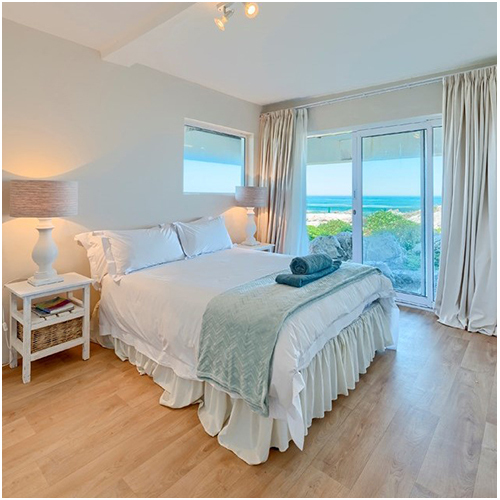 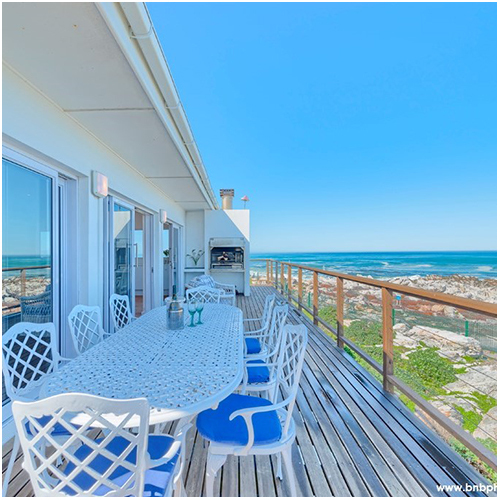 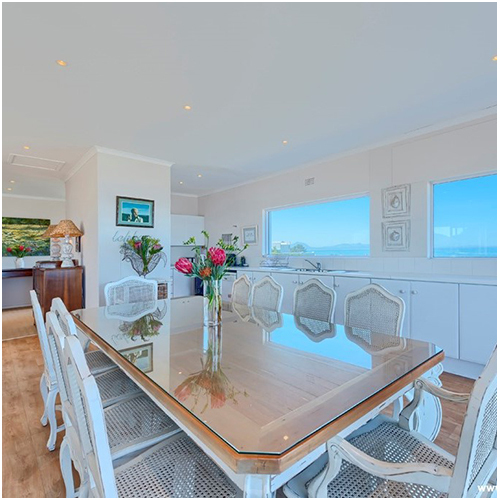 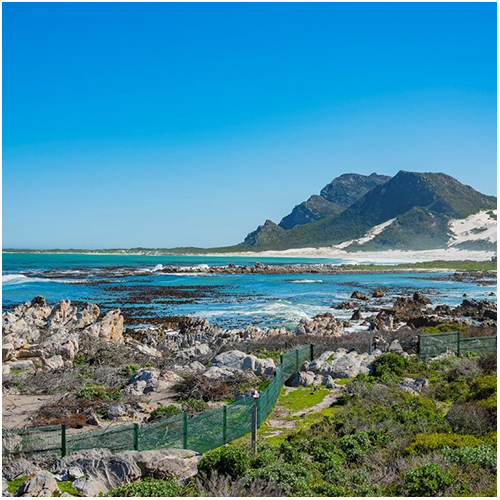 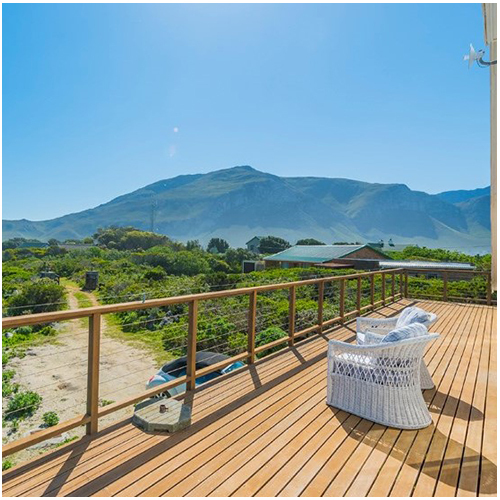 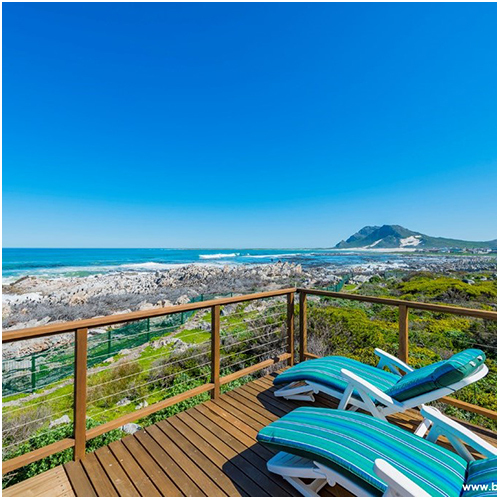 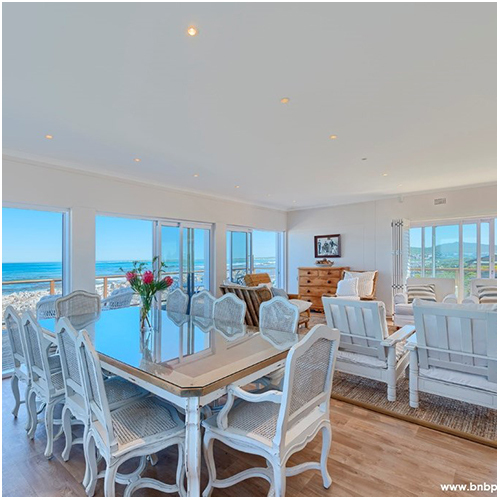 A stunning, classic beach villa, that overlooks the penguin reserve to breathtaking sea views in every direction. 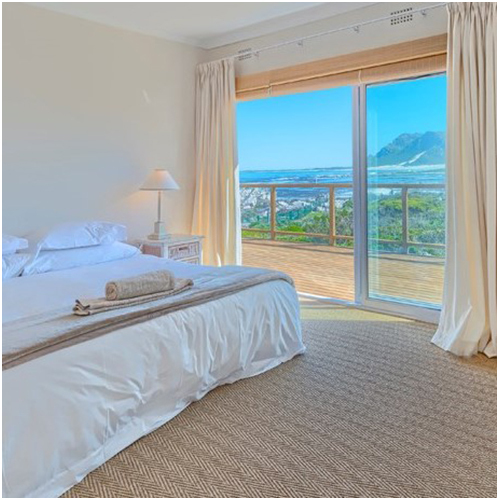 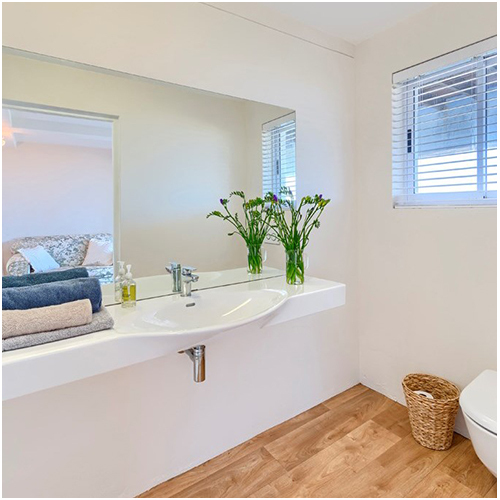 Tastefully furnished, with a serene air, full length glass doors open to views from every room. 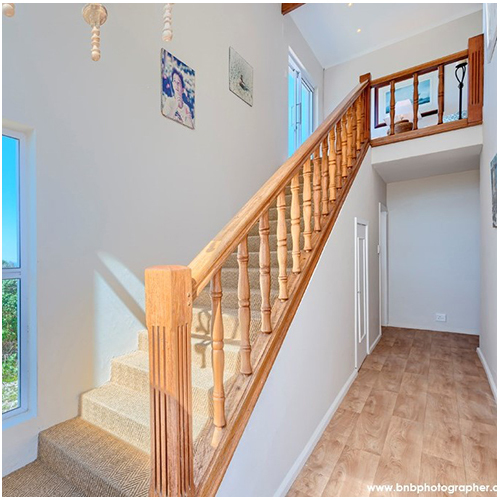 Upstairs the expansive living/dining/kitchen flows onto a generous wrap-around deck, perfect for entertaining. 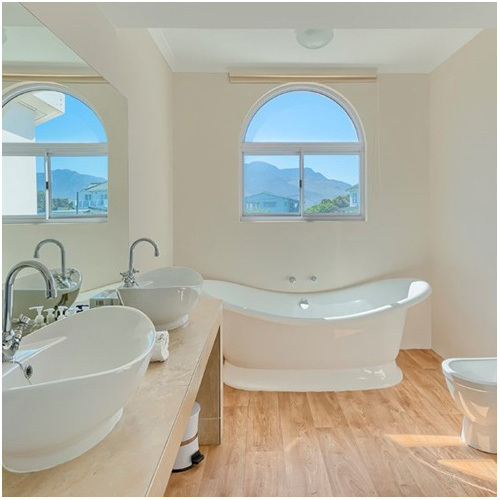 The master bedroom with a luxurious bathroom is also upstairs. 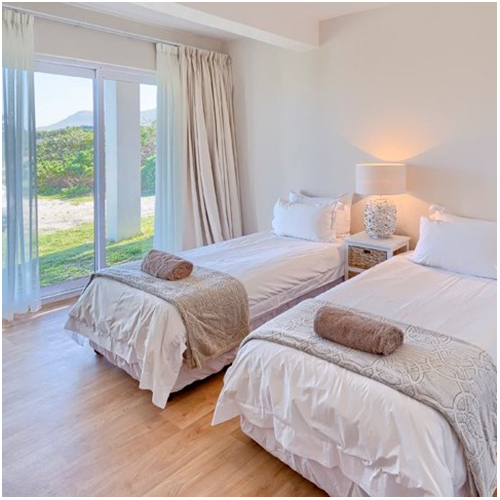 Downstairs are 3 more big bedrooms, 2 ensuite and one with a bathroom across the hallway, and a guest loo.